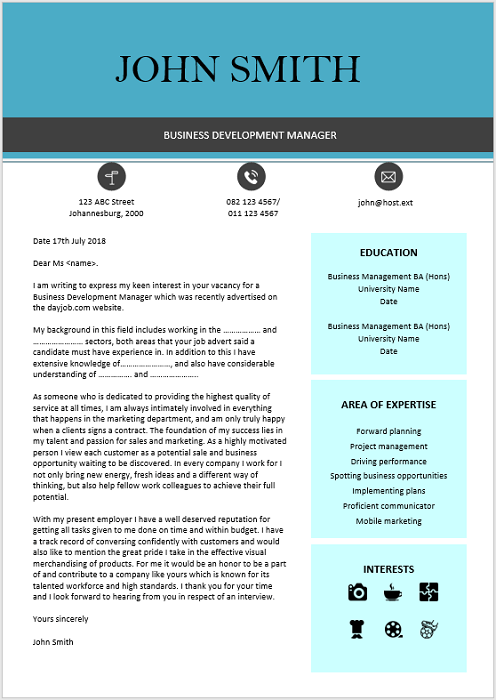 A Business Development executive is a senior manager tasked with the job of helping his or her business grow and therefore, they are high-level sales professionals. 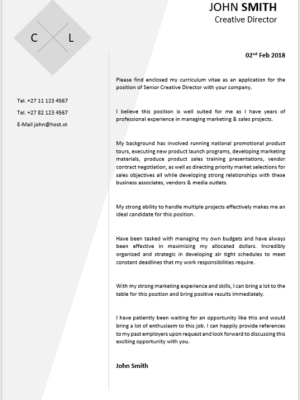 Their priority is to assist their companies acquire new customers and sell additional products or services to existing ones. 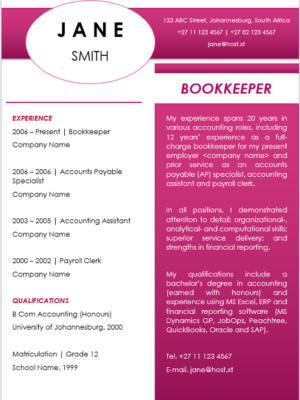 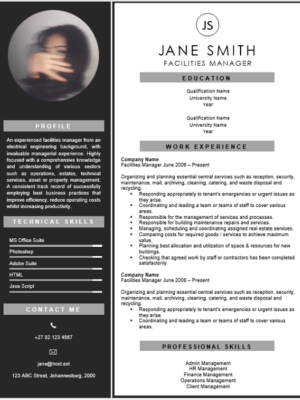 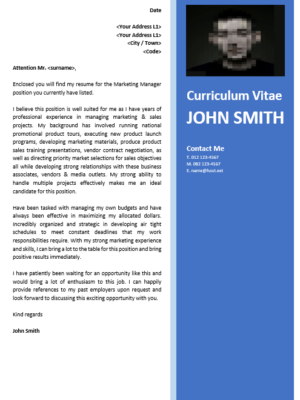 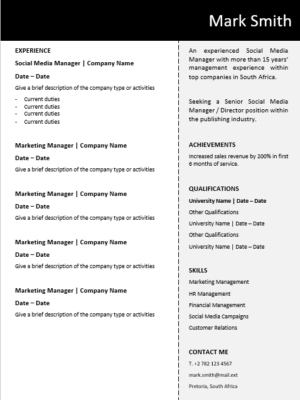 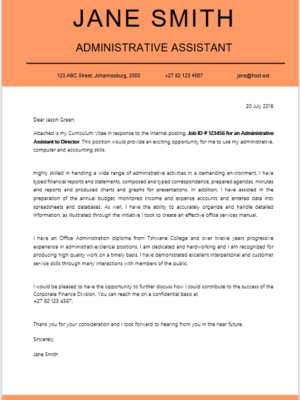 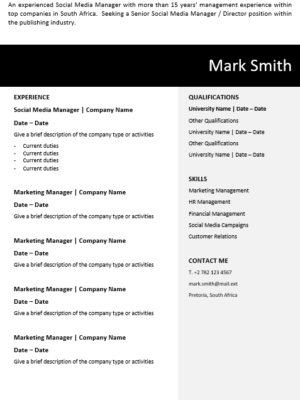 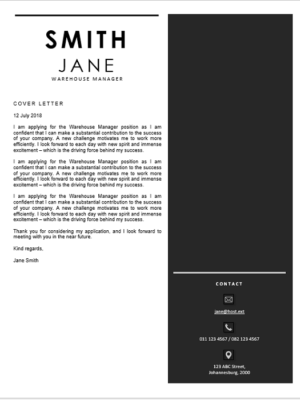 This CV is ideal for a person with a business development mind seeking new employment or wanting to change employers. 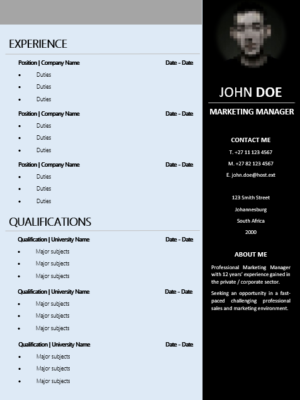 Our resume will speak your experience for you.